Even if he hadn't produced much of Dennis Potter 's best work, Ken Trodd's contribution to British television drama would be considerable. His career has embraced work by Jim Allen , Simon Gray , Julia Jones , Mike Leigh , G.F. Newman , Stephen Poliakoff and Colin Welland . A champion of radical leftist work as well as quality literary drama, he has long been an advocate of filmed drama, even though some of Potter 's best plays were produced in the studio. He has also been a firm supporter of public service television, having produced most of his work for the BBC, with occasional excursions into the commercial hinterland with LWT and Granada . Born in Southampton in 1936, the son of a crane driver, he was one of the generation of 'scholarship boys', including Ken Loach , John McGrath and Potter , who went to Oxford University in the late 1950s. Trodd had already met Potter while doing National Service as a Russian-language clerk in Whitehall, and their shared political convictions saw a friendship develop which lasted over thirty years. After graduating Trodd was going to become a teacher, but a chance meeting with another friend from Oxford, Roger Smith , who was working with James MacTaggart on the first series of The Wednesday Play (BBC, 1964-70), led to Trodd being recruited, along with Tony Garnett , as a story editor for the series, where he worked with writers such as Julia Jones , David Mercer and Potter . He was also script editor on the BBC 's Thirty-Minute Theatre , nurturing new writers such as Jim Allen and Simon Gray and working with Potter on Emergency - Ward 9 (tx.10/4/1966). The experience of Thirty-Minute Theatre taught Trodd the limitations of live studio drama and he became an advocate for drama filmed on location alongside Garnett , Loach , Troy Kennedy Martin and others. After three years as story editor, Trodd got his first chance to produce when he and Garnett were approached by the newly-minted London Weekend Television , to produce its drama output. Initially suspicious of joining a commercial company, Trodd and Garnett negotiated a contract on their own terms and, with MacTaggart , Mercer and Clive Goodwin , formed Kestrel Productions , British television's first independent production company. While Garnett took responsibility for Kestrel Films , Trodd looked after the drama side, producing fifteen plays over the next two years. Managerial changes at LWT led to Trodd and Garnett resigning in 1970 and Trodd took up an offer to produce at another ITV company, Granada . Most of the LWT plays had been recorded in the studio, but Colin Welland 's Roll on Four O'Clock (tx.19/12/1970) and Dennis Potter 's Paper Roses (tx.13/6/1971) were both produced on film. While at Granada Trodd also produced Home and Away (1972), a six-part serial by Julia Jones about a woman seeking independence after her family has grown up, who travels to Poland where she gains a new insight into women's lives. Directed in part by Roy Battersby (who also directed Roll on Four O'Clock ), Home and Away was a departure for Granada , but the next Trodd/ Battersby / Welland project, 'Leeds - United!' , proved too expensive (and perhaps too radical) for the company and was eventually produced as a BBC Play for Today (tx. 31/10/1974). Trodd spent the rest of the 1970s producing for the BBC , including several Potter plays culminating with the six-part Pennies From Heaven (1978) and 'Blue Remembered Hills' ( Play for Today , tx.30/1/1979). Trodd had an antagonistic relationship with the BBC during this period. Potter 's Brimstone and Treacle (1976) was banned, and Trodd, Garnett , Smith and Battersby were viewed with suspicion because of their involvement with the Workers' Revolutionary Party. In 1978 Trodd and Potter formed their own production company, Pennies From Heaven Limited , and, frustrated with increasing BBC bureaucracy and censorship, signed a deal with LWT , where Trodd produced three more Potter plays in 1980, this time made on film. As the TV landscape began to change, with the appearance of Channel 4 and an increase in independent production, Trodd became a spokesman for the Association of Independent Producers . He was also on a BBC working party considering how the corporation should respond to Channel 4 's success in making feature films for theatrical release. Critical of the BBC 's outdated advocacy of the television play, Trodd was instrumental in developments which saw Play for Today replaced by Screen Two in 1985 and Screen One in 1989, with single drama now being made almost entirely on film. Meanwhile Trodd continued to produce (filmed) plays for the BBC by Jim Allen , Stephen Poliakoff , William Trevor , Simon Gray and Mike Leigh , plus Dennis Potter 's masterpiece, The Singing Detective (1986). Despite the move to filmed drama, the difference between Channel 4 and the BBC was highlighted by two dramas he produced in 1986-87, both with screenplays by Simon Gray : A Month in the Country (Channel 4, 1987) gained a theatrical release, whereas After Pilkington (Screen Two, BBC, tx.25/1/1987) was limited to two TV screenings. Potter 's decision to direct Blackeyes (BBC, 1989) with a different producer, led to a rift in 1987, and in the late 1980s and early 90s Trodd worked with other writers such as Gray , Poliakoff and G.F. Newman , until Potter and Trodd were reconciled shortly before the writer's death. Trodd produced Potter 's final dramas, Karaoke (BBC/Channel 4, 1996) and Cold Lazarus (Channel4/BBC, 1996). In a discussion about radical TV drama at BFI Southbank in 2009, Trodd maintained that the decline in single drama and shift towards more expensive filmed drama in the 1990s had brought a decline in freedom for the producer. Where in 1969 Trodd produced fourteen television plays, since 1996 only three have made it to the screen, the last being Promoted to Glory (ITV, tx.21/12/2003). 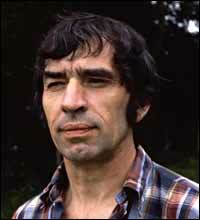 Ken Trodd was awarded the RTS Silver Medal in 1986-87 and the BAFTA Alan Clarke Award in 1993.